Do you know that FPS games are horrible on the Wii? 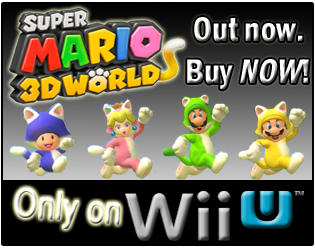 Do you know that the Wii is for kids, and Nintendo fanboys stuck in the 80s and 90s? Do you know that when it comes to FPS games on home consoles, graphics matter more than actual game-play? Well, if you do not know these things, you should go read more sites like IGN, Destructoid (most of their Wii FPS reviewers seemed to enjoy them, they just have had low/no Nintendo coverage of the Wii, and seem to ignore tips about legitimate Nintendo things from developers), Joystiq, and basically every "modern" game site that exists that doesn't contain the word "Nintendo" in its title, and you will become well versed in "modern game language" and the understanding that graphics trump game-play, AND that Nintendo is for the kids! While there are many video game "journalists" that seem to think the words "Wii FPS" do not belong together(and to some those words might not even exist), as evidenced by their written opinions in reviews and articles, I think they are 100% wrong. I digress! GoldenEye 007 was released on November 2, 2010 and Conduit 2 was released on April 19, 2011. Conduit 2 received an overall lower "professional" review score average, so does it appear from reported game-play data that Conduit 2 is not as enjoyable as GoldenEye 007, proving that the "professionals'" opinions were right? Let's take a look! GoldenEye 007 now has 80,201 Wii owners that have reported game-play hours through the Nintendo Channel. Conduit 2 now has 6,003 Wii owners that have reported game-play hours. GoldenEye 007 has seen an increase of about 31,084 more Wii owners reporting data, than it had on March 21, 2011. 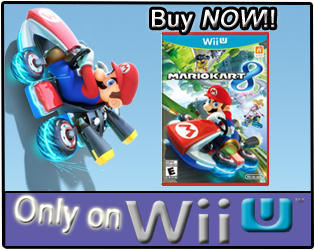 Conduit 2 has seen an increase of about 3,650 more Wii owners reporting data, since its data debut on May 30, 2011. GoldenEye 007 now has 2,163,420 Total Hours of game-play reported, an increase of 1,107,206 Total Hours since March. The games's average play-time is now 26 Hours 59 Minutes "Per person" reporting data, which is 5 Hours 28 Minutes more than the average that was reported from March 12, 2011. GoldenEye 007's average play-time per day/session reported is now 2 Hours 3 Minutes. Conduit 2 now has 178,670 Total Hours of game-play reported, an increase of 128,444 Total Hours since May of this year. The game's average play-time is now 29 Hours 46 Minutes "Per person" reporting data, which is 8 Hours 25 Minutes more than the average that was reported on May 30, 2011. Conduit 2's average play-time per day/session reported is now 2 Hours 18 Minutes. GoldenEye 007's Amazon.com sale rank is #422, and it is currently selling for $23.65 fulfilled by Amazon. GoldenEye 007's Classic Controller Pro bundle's sale rank is #2,387, and it is currently selling for $52.00 from a third party vendor. Conduit 2's Amazon.com sale rank is #9,109, and it is currently selling for $43.70. GoldenEye 007's "professional" review score average is 83.77%, based on 62 reviews on GameRankings.com. The game has a 4 out of 5 Stars rating on Amazon.com between both versions, based on 174 customer reviews. The game's customer review score average is 78.39% when the reviews are converted to a 100% review scale. Conduit 2's "professional" review score average is 66.32%, based on 38 reviews on GameRankings.com. It has a 3 out of 5 Stars rating on Amazon.com, based on 38 customer reviews. The game has a customer review score average of 57.36%, when all the reviews are converted to a 100% review scale. The game's customer review score average increases to 79.16%, when removing all but one of the 1 star reviews, based on the fact most of the 1 star reviews only appeared after the Conduit 2 review fiasco and provided little or no details on the game. Just from looking at Conduit 2's Amazon.com sales rank, it would appear that the game is not selling very well; but does that prove the "professional" reviews were correct overall about which game is better? While Conduit 2 will probably never catch GoldenEye 007 in overall sales or in "Total Hours" reported, the one area that I think shows Conduit 2 owners are really enjoying the game is the hours reported "Per person" category. 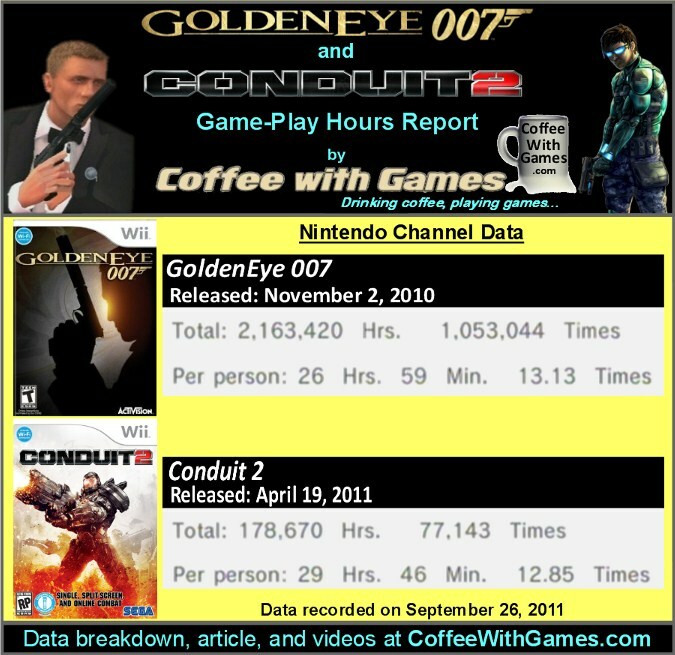 If Conduit 2 was such a mess of a game, wouldn't it be reasonable to expect the average hours reported "Per person" to be lower than those of GoldenEye 007? I think this is even more true when Conduit 2's single-player campaign is reported to be a lot shorter than GoldenEye 007's single-player campaign; but Conduit 2 has a higher average "Per person" than GoldenEye 007 does. So, how/why do I think Conduit 2 has a higher average "Per person" than GoldenEye 007? Well, I think it is simply because Conduit 2 owners are playing the online multi-player a lot, which I think shows Wii FPS fans buy FPS games to play online multi-player, like the majority of FPS fans. I have only played GoldenEye 007, so I can't comment on both, but I think the one area GoldenEye 007 could be improved upon is its online leveling up system. I think it takes way too much time to level in the game, and that players may eventually grow tired of trying/hoping to reach the next level. I know Conduit 2 does have a patch system in place, and I would only guess from the average hours "Per person" reported for the game that the online multi-player is running smoothly. Have any of you played both GoldenEye 007 and Conduit 2, and if so, which one do you think has the better online multi-player? If you have played GoldenEye 007's online multi-player, do you agree with me that the online leveling up system takes too much time? Unfortunately I have missed both,though I've frequently considered both titles. I suspect Golden eye will eventually make it onto my 'list' for one of the platforms, once I further dent my backlog. Greatly enjoyed the single player of GoldenEye. Multi-player was too grind-heavy for my liking. Wii died before I could touch Conduit 2. I don't think I missed much. Hadn't made it as far on GoldenEye as I would like, but its been very fun. Pretty much given up on conduit. @Coffee - absolutely loved the way you began this article though, poking fun at the way the Wii gets overlooked as a FPS system. Yeah and it's a good article. Very little love out there for the Wii/FPS combo. Knowing that GoldenEye is headed to the PS3 and Xbox 360 is pretty good I think, and hopefully Eurocom has used it's extra time on it to make some adjustments to the multi-player...just a few tweaks to it would help, but it's really a solid game overall. "Multi-player was too grind-heavy for my liking. Wii died before I could touch Conduit 2. I don't think I missed much." Yea, the "grind-heavy" part is what I think was a hindrance to the game's overall online play. While the levels, weapons, and perks early on are/were a lot of fun, trying to unlock the higher equipment/perks just takes a lot of time. As for Conduit 2, I haven't played it, but it is on my list...though that doesn't mean much as this time. Still not finished with the single-player?! Hmmm...perhaps a new year's resolution is in the works for you? Yea, I'm always amazed that not only do the gaming sites, but also many publishers/developers ignore it. Activision, love em or hate em, has given the Wii yearly FPS games with the Call of Duty games, and they even brought GoldenEye 007 to the Wii first. I mean clearly there's a market for FPS games on the Wii, even though it may be smaller than the other consoles, I think it has been decent enough for Activision to allow Treyarch to port the Call of Duty games over, and contract Eurocom to develop GoldenEye 007 for it. "Even though I'm not sticking to my backlog before buying other games..."
Uhhuh...it's only because of FRIDAY! Just wait until Christmas hits, and you get like 15 games...Video Games New Year's Resolution, and you will change the name of your blog from IncompleteGaming, to CompleteGaming! BTW, on GoldenEye, how far along are you in the single-player? I have both games. I played a lot of Goldeneye but then it became too grinding heavy (around level 30). Conduit 2, I like the sci-fi theme and the local multiplayer. Also the patch system fixed a lot of small errors, its a better game that the "professional" reviewers make you believe. Uhhuh...it's only because of FRIDAY! Well, uh, the 3DS is certainly going to have an affect on my time. Storing my Wii will too. Yea, if GoldenEye's online leveling was just a bit smoother, which may be addressed in the PS3 and Xbox 360 versions, the game may have a higher average "Per person" than it currently does. As for Conduit 2, I enjoyed the setting/story of the first one, and enjoyed looking for the hidden messages throughout the levels. Does Conduit 2 have as many of the same hidden messages as the first game? Ah, I'm actually right past the nightclub level now on my second play-through. As for storing your Wii, do you have a general week/day that is going to happen? Thank you both for the comments/feedback! Those darn shadow people in the club just won't get out of your way!! If things stays on schedule everything will be packed on the 17th. (though I may box up the Wii a few days before that) I had considered keeping it out to transport myself then hook up to a TV or monitor at our destination, but car space is looking to be very scarce and needed right now. That's a good point on the leveling up in GoldenEye. I wont lie that it was exciting to get some new guns and perks, but it sure seemed like it would take a long time to get up to 25-30+. To answer your question Coffee, yes. Secret Messages are still a part of Conduit 2. They also include real-world artifacts of historical, mythological and conspiracy lore which are scanned like data logs in Metroid Prime. There's a new 'ping' function to the ASE allowing these items to be found easier. Not as many radios, but there are a few around. You can also find blueprints to unlock weapons without having to buy them from the store, which makes C2 a far better game for multiplayer in my opinion because new players aren't burdened with having underpowered weapons while people who grinded for days get all the cool stuff. And even if you don't find the blueprints, weapons and stuff are handled with a credits system, and you earn credits for doing basically anything. And some other things to be mentioned about C2's multiplayer are host migration and voicechat; C2 has them, while Goldeneye does not. Unfortunately you can only chat with friends and rivals. Fortunately, adding rivals amounts to pressing a single button, and you have all the same benefits as friends. As you can no doubt tell, I'm a big fan of C2's multiplayer. If you do pick up the game and are looking for an active community, hit up the GameFAQs forum for it. HVS employees post there on occasion as well. "Those darn shadow people in the club just won't get out of your way!!" Haha! They don't even care that you get up in their faces. Yea, as for the leveling up, I'm around 20 something, and it takes a really long time now to level up. I really wish the game could be patched, and that Eurocom would fix it...hopefully the HD versions will have that fixed though. Thanks for the feedback! I thought the radios helped add to the first game's atmosphere/setting, but I heard so much about how Mr. Ford was changed in Conduit 2, that it was very hard to take seriously compared to the first game. As for the multi-player, the host migration and voicechat I think are both must haves now in online FPS games, and I'm glad to know HVS got those in Conduit 2. Thank you both again for the comments/feedback! I have really enjoyed Conduit 2, the online system has been a blast for me and I really enjoy the sci-fi theme to the game. It's not perfect, but it's provided several hours of fun and enjoyment! Also, I really liked your intro to this article =D! I missed a comment, from nearly 2 years ago! Thanks for the feedback! Did you happen to play the other versions of GoldenEye (PS3 or 360)? As for getting so much XP, was that something the developers did, like a double XP type deal, or was that perhaps a hacked match? I played a few matches with hackers running around. National Coffee Day Is Today - Get Free Coffee!